Love, hope and faith remain. For now, though, they come with their shadows – rejection, disillusionment and doubt – absences which can seem as real as presences. They are inseparable travelling companions on our journey. The psalms, the ancient songs of the Jewish scriptures, say much about this. They are not always comfortable. They look reality in the face. They meet with paradox, and press on regardless. They travel beyond turmoil and opposition, to the possibilities of love. 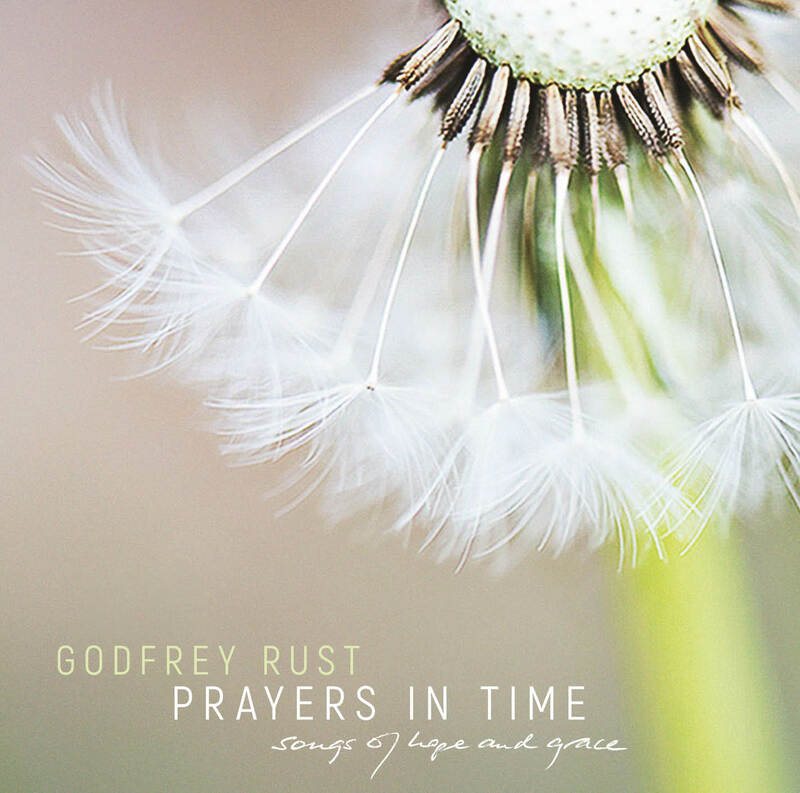 The ten Prayers in Time are modern psalms like these, songs of hope and grace, and not without humour and irony. Some are personal, some can be sung together by all. The album is a journey in two stages, one that in our lives may be repeated many times, starting from any point. The first five songs are reflections. Whatever comes our way, hope springs eternal (Rock bottom blues). We glimpse truth (Who can we turn to? ), but things inside and outside get in the way (Save me from my enemies). Sometimes we feel connected, sometimes abandoned (Deep calls to deep), and however consoling our beliefs, we cannot escape contradiction and loss (Healing touch, the theologian’s prayer). The last five songs are responses. We may break the logjam of anger or frustration by forgiveness (Lay down my angry heart), and love well if we have reserves of spirit to draw on (The sound of heavy rain). If something good is to be done, it will be because we take responsibility (Lord, where did you leave your hands?) to meet needs of others (Open doors); and at the end nothing is worth much if it is not done out of love (In need of grace). What has changed for psalms in the 21st century is the loss of the ancient certainty that God is near us, and for many that a god is anywhere at all. My own frame of reference is Christian, and the light of the man Jesus falls across these songs, but I believe that the themes here are universal and I hope that they resonate with those of other faiths, or of none. The flower pictured is transient and ordinary - yet it is also unique and very beautiful; and its seeds are blown, like prayers or psalms, to go to who knows where: some to fall in stony or thorny ground and to die unregarded, and some to fall in good ground and grow to new and beautiful life. They are like prayers in time, constantly crossing the bridge to eternity.